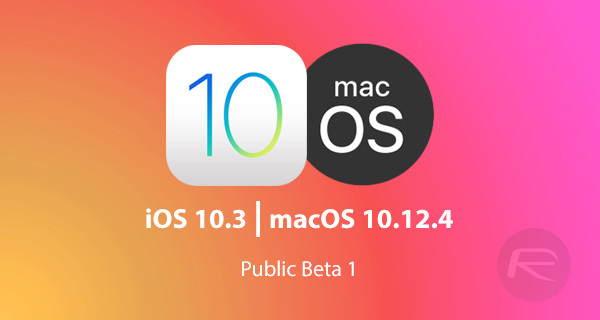 You can now download iOS 10.3 public beta 1 seed as well as macOS 10.12.4 public beta 1 provided you are a registered member of Apple Beta Software Program. The release follows closely behind this week’s initial developer reveal, and instantly gives Apple an extended testing pool with which to get valuable feedback on the recent beta releases for its various supported platforms. On the face of things, iOS 10.3 beta 1 doesn’t look to be a huge step forward for the platform, but does actually contain a number of interesting and exciting improvements. First and foremost, Apple has furnished the Find My iPhone app with the ability to locate lost AirPods, meaning you don’t have to worry about losing one of the lose little Pods. Apple has also improved the ability of Siri, much to the pleasure of cricket fans, by allowing Siri to check and report back international and Indian Premiere League cricket match scores. Improving Siri also seems to be hot on the agenda with a number of improvements to SiriKit to bring additional functionality, like paying bills, scheduling (instead of just ordering) rides with Uber and Lyft, and even checking the status of payments. The company has also made some smaller improvements, such as adding Reduce Motion support into Safari, bringing a new Podcasts app widget, and even adding HomeKit enhancements, as well as a new hourly weather forecast via 3D Touch actions in Maps app. iOS 10.3 also means that the iPhone and iPad will be the first devices to adopt Apple’s new file system, APFS. For a complete list of changes, head on over to our post here: iOS 10.3 Beta 1: All Changes And New Features In One Place. 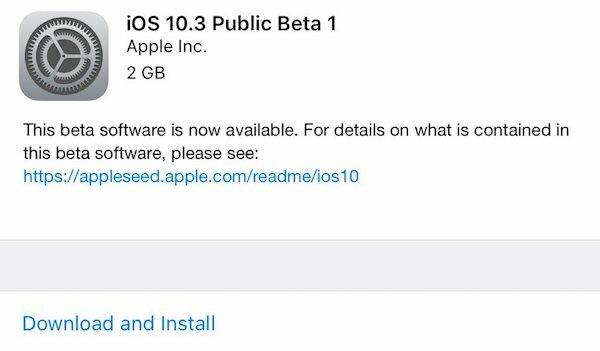 Those who are registered on Apple’s Beta Software Program are able to grab iOS 10.3 public beta 1 right now from Settings > General > Software Update. For those who aren’t enrolled yet, head to beta.apple.com to get started. macOS Sierra is an extremely popular platform, but the public beta download is not going to be anywhere near as popular as the iOS seed which has been released alongside it. Those are just the facts as consumers look to see what’s new in iOS, which can be utilized on iPhone, ahead of what new improvements have been made on Mac. It may not be as popular, but it’s still a very worthwhile download, and very much worth interacting with the new Night Shift mode which Apple has introduced in order to take the display to the warmer end of the spectrum at night time to take the burden off the eyes. There’s also the introduction of a multitude of bug fixes, improvements, and under-the-hood enhancements designed to make Macs running macOS 10.12.4 a lot smoother and fluid. Mac owners can head to the Mac App Store to download the latest macOS beta from under Updates tab.